Athletes from Fife AC will fly the flag for Scotland and for Britain this weekend at the European Champions Clubs XC Cup in Portugal. It’s a huge moment for the club, who won their place to represent British Athletics in the women’s race in Albufeira with success at the Cross Challenge event in Liverpool at the end of November. Seven athletes and two coaches/team management are set to travel late on Friday for what should be an exciting and rewarding trip – culminating with the race on Sunday. Each club is allowed to enter eight athletes with six to race and four to count. 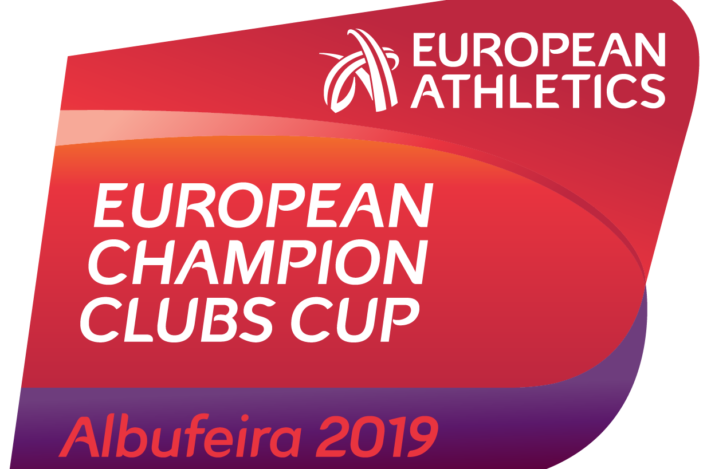 In fact, the following athletes will travel to represent Fife AC in Europe: Megan Crawford, Jennifer Cruickshanks, Halina Rees, Jenny Selman, Helen Sharpe, Jennifer Spence and Annabel Simpson. Steph Pennycook had originally hoped to compete but the lengthy travel options and time off required forced the 2018 Lindsays National XC silver medallist to prioritise her final year studies at Edinburgh Uni. Annabel Simpson will travel but injury has ruled her out from racing. The event pages on the European Athletics website reveal there are 91 names entered for the Senior Women’s race with no fewer than 16 different countries represented. Fife AC carry the support and good wishes from all at scottishathletics and no doubt within the wider community of the sport in Scotland on their European adventure. ‘To compete in the European Clubs Cross Country Championships you have to qualify to represent your IAAF member country. 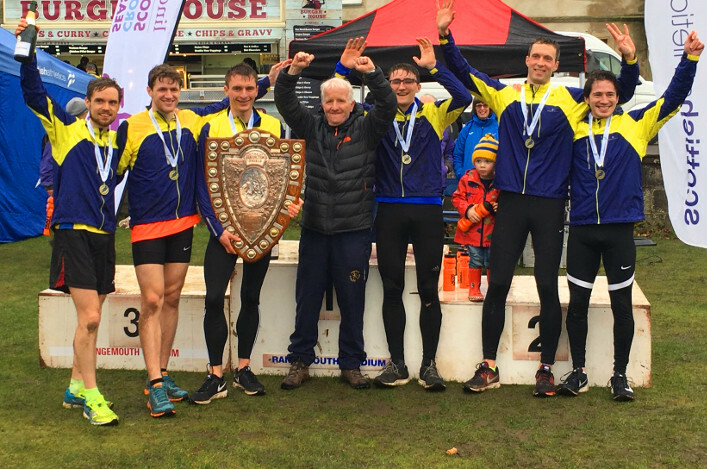 ‘As there is no recognised UK cross country championship, the Home Countries agree to nominate one men’s club and one women’s club to represent them in the Liverpool UK Cross Challenge . . . and becomes the Trial for the European event. 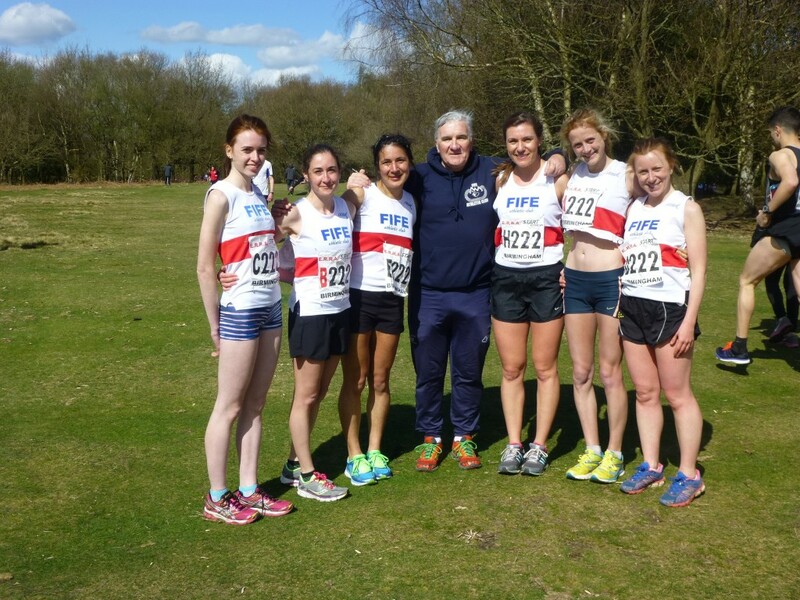 ‘To qualify to represent Scotland at Liverpool, the team with the fastest four UKA 1st claim Senior Women at the National XC relays (at Cumbernauld) is given the opportunity. U20 women have a separate race at Liverpool and the UKA rule does not recognise University students as 1st claim for the University. 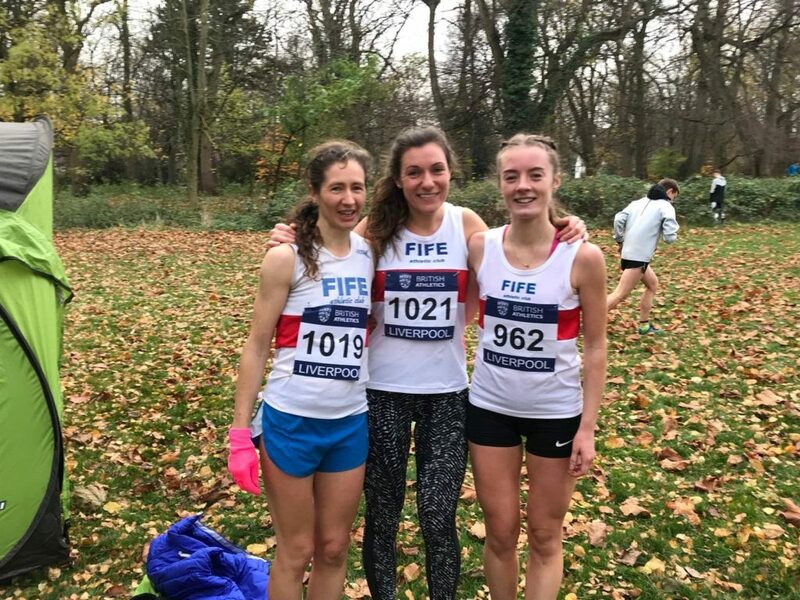 ‘Fife AC women were not having a great start to the year with fifth and seventh in the East District relays followed by fifth in the National XC relays. ‘By now the entries for Liverpool and Albufeira were due. The selection process meant that VP-Glasgow were the top team but eventually turned the offer down. ‘Fife AC, with Steph Pennycook counting in the calculation, were next. At this point there was not intention of travelling to Liverpool but Steph was already entered and so Jennifer Cruickshanks, Jennifer Spence and Helen Sharpe decided to join her. ‘The other athletes went to Broxburn and won the East District league women’s race. 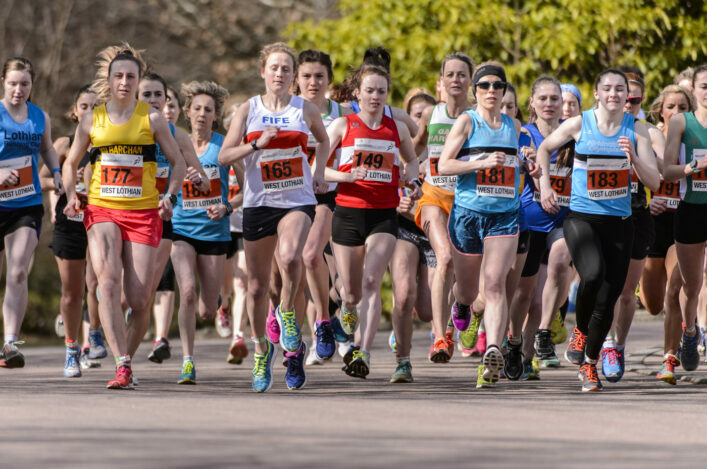 At this point, news was filtering through that Fife AC had won the women’s qualifier to represent the UK. As we all know the course at Liverpool is severe and it turned out that the other Home Countries teams did not finish the four counters. Did we care? Did we want to represent the UK? You bet we do, even if there is no chance in the race. ‘The first obstacle was to get to the venue and flying from Scotland at this time of year is not a good place to start. ‘The direct holiday flights are not operating and unless you are going for a week then it is not possible to do the trip in less than four days. With a group of teachers, lawyers etc one day off is possible but not more. ‘So a plan evolved to fly late on Friday to Lisbon, drive 250Km to Albufeira with a hire car on the Saturday, race on the Sunday and drive back to Lisbon on the Monday to catch a late flight to Scotland on the Monday. This is also an expensive option. 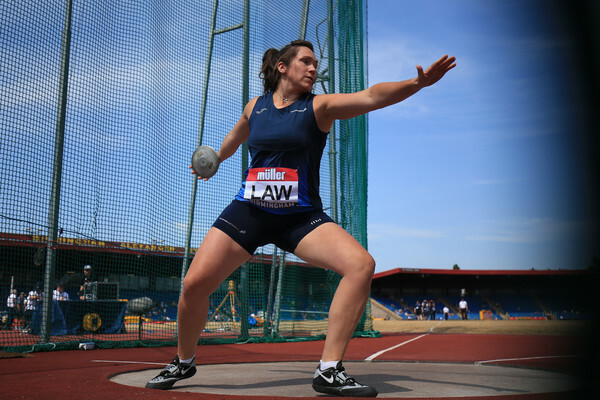 ‘Our travelling officials will be Lesley Thirkell, the club President, who is excited about being the UKA Head of Delegation, and Kate Fernando, a Fife AC Board member. They will have to sort out accreditation, final entries, doping control etc and perhaps drive on the right hand side of the road for the first time.